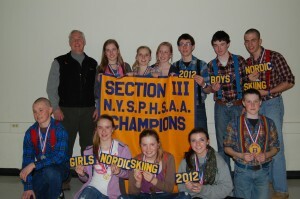 The Town of Webb School High School Nordic Ski Team was named Section III Champions following sectional competitions on Wednesday, February 15 and Friday, February 17. 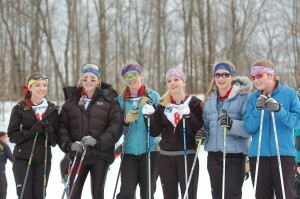 Webb School Nordic skiers, from left, Tecwyn Williams, Megan Greene, Olivia Phaneuf, Allison Brosemer, and Henry Uzdavinis. Back row: Coach John Leach, Jessica Hannah, Andrea Frey, Maddie Phaneuf, Adam Luban, Evan Nahor, and Colin Criss. Competing in the races were teams representing Holland Patent, Adirondack, Whitesboro, and Camden high schools. Wednesday’s competition was held at McCauley Mountain with the girls skiing in a 6K Freestyle Race, and the boys in a 9K Freestyle Race . 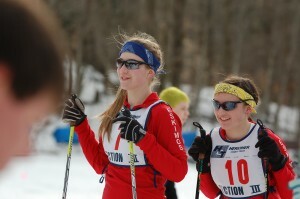 On Friday, Classic Relay Races were held at Osceola Ski Center. Per a longstanding tradition, the girls’ and boys’ state teams, and the individual girl and boy sectional champions were announced at a banquet following the second day of sectional competition. This year’s banquet was hosted by Adirondack Central High School. 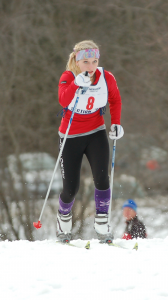 Webb’s Maddie Phaneuf was named Girls’ Nordic Champion, an honor she has achieved for the past four years. Adam Luban, also a member of the Webb team, was named Boys’ Nordic Champion. Allison Brosemer, Maddie Phaneuf, Jessica Hannah, Andrea Frey, Megan Greene, and Olivia Phaneuf. Members of the Girls and Boys Section III Nordic Champions Team are: Maddie Phaneuf, Megan Greene, Allyson Brosemer, Olivia Phaneuf, Andrea Frey and Jessica Hannah, Adam Luban, Evan Nahor, Henry Uzdavinis, Tecwyn Williams, and Colin Criss. This entry was posted in admin on February 23, 2012 by Marianne Christy. The Rochester Philharmonic Orchestra (RPO) will be the featured classical orchestra scheduled to perform at Arrowhead Park in Inlet on Friday, July 27, according in The Fulton Chain of Lakes Performing Arts Council Chairman, Jerry Dupuis. This entry was posted in admin and tagged carol hansen, Columnists on February 23, 2012 by Carol Hansen. 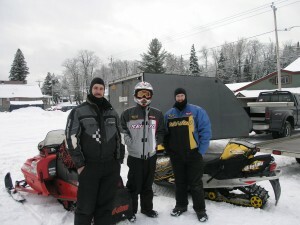 With a steady stream of winter adventurers coming to the area over the past week, snowmobile permit sales have reached high numbers in both the Town of Webb and Inlet. “This past weekend they were out the door, they were out on the sidewalk when we opened first thing in the morning,” said Town of Webb Publicity Director Mike Farmer. 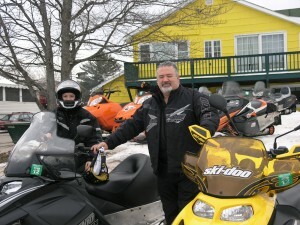 Presidents holiday weekend, over 300 of them were purchased by individuals who had never snowmobiled in the area before. “Finally—the word is out,” he said. This entry was posted in admin and tagged Columnists, Dana Armington on February 23, 2012 by Dana Armington. All things winter will be celebrated at the annual Frozen Fire and Lights event in Inlet on Saturday, February 25. Event activities will take place at Fern and Arrowhead Parks and throughout the village, and will wrap-up with a bonfire and fireworks in the evening. The Inlet Public Library will host a Book Sale from 11 a.m. to 2 p.m. This entry was posted in admin on February 23, 2012 by admin. Leo P. Villiere, 94, of Old Forge, passed away on Sunday, February 19, 2012 at Sunset Nursing Home of Boonville. This entry was posted in admin and tagged Obituary, Villiere on February 23, 2012 by admin. The Town of Webb Board accepted the bid by Central New York Construction, Inc. of Barneveld for the contract for the East Side Pumping Station and Force Main Replacement Project at a special meeting held on Friday, February 17. The annual St. Patricks Parade in Old Forge will take place on Friday, March 16 at 5 p.m., and as in the past, all area residents and businesses are welcome to take part in what is considered to be one of the most unique events in the Central Adirondacks. Each year a grand marshal (of some degree of Irish descent) is selected to lead the parade upMain Street. This entry was posted in admin and tagged st. paddy's on February 23, 2012 by admin.